Makeup primer is an essential part of your makeup routine. I honestly don't know what I did before I had makeup primer; they are one of the best inventions when it comes to makeup. Ever. A makeup primer will help makeup go on more smooth, minimize pores and fine lines. Not only that, a makeup primer ensures that makeup stays on your face all day - through heat and humidity, basically all the elements of the day. It's especially important as we are in the thick of the summer. I have yet to find a good primer at the drugstore until now. 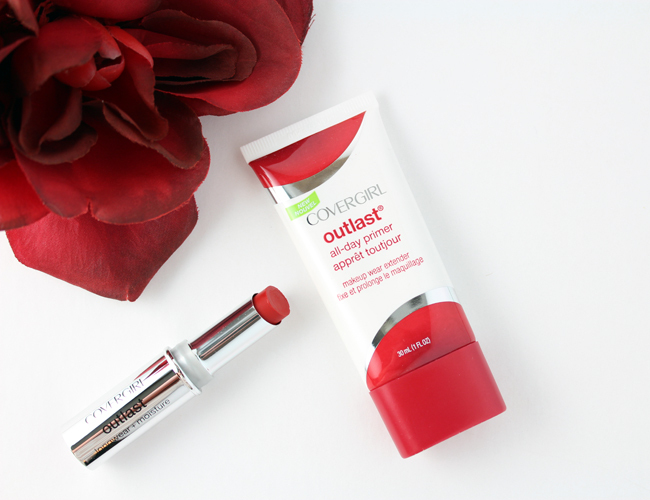 COVERGIRL recently launched Outlast All-Day Primer and it surpasses all of my expectations. This is a good one! COVERGIRL Outlast All-Day Primer is an oil-free primer that comes out of the tube white in color but disappears as you blend it in over your face. It has a sort of gel-like consistency that spreads out very evenly to create an instantly smooth finish. It gives a somewhat matte finish as it absorbs oil. It fills in pores and fine lines as it smoothes the skin. The feel is barely powdery with just enough grab to it to hold foundation and the rest of your makeup in place. It is made with minimal silicones and talc (powdery feel). I don't get the heavy silicone feel, which I hate in primers. Those often break out people so there is nothing to worry about with Outlast All-Day Primer. When using with my high end department store foundation and COVERGIRL Outlast Stay Luminous Foundation, I definitely got extended wear. My foundation looked more fresh, as it always does when wearing a primer. I am thrilled to have found a drugstore primer that performas as well as a pricey specialty or department store brand. 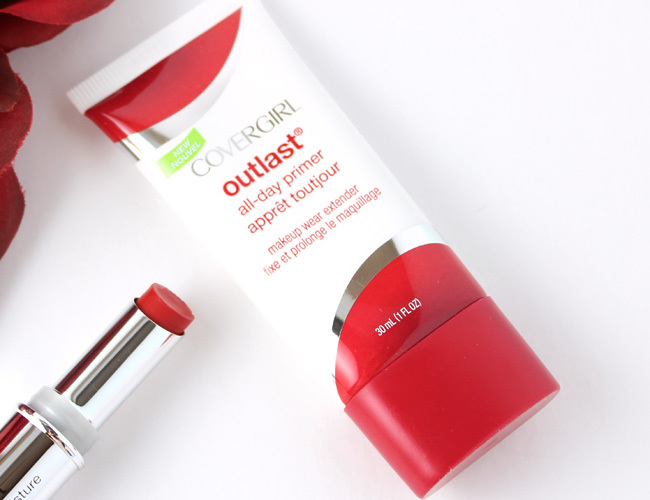 COVERGIRL Outlast All-Day Primer sells for about $11.99 at your favorite drugstore or mass retailer now. Pick it up and let me know your thoughts. You won't be sorry with this drugstore makeup primer. Top 10 SPF's for Face.